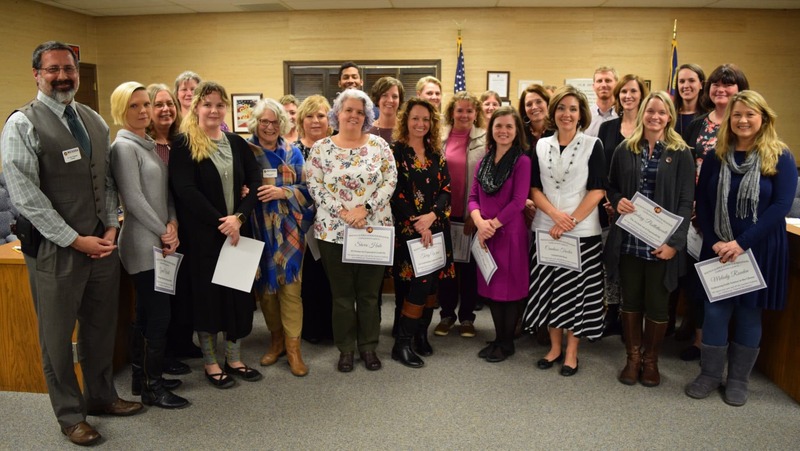 During the November meeting of the Watauga County School Board several recognitions took place. The Watauga Education Foundation awarded grants to Watauga County Schools teachers from across the district, district-wide spelling bee winner recognized, Spanish teacher Carmen Scoggins recognized, group of students who represented the district at the national GEAR UP conference recognized, the Board of Education honored member Jason Cornett with the Servant’s Heart Award. Photos provided by Watauga County Schools. 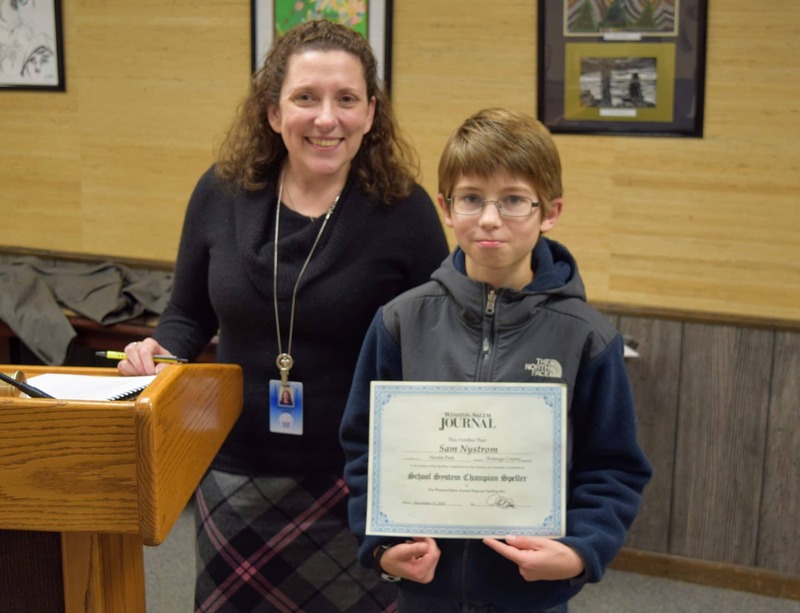 District-wide spelling bee winner, Hardin Park sixth-grader Sam Nystrom was recognized by the board. Nystrom will go on to represent Watauga County Schools at the regional contest in March. 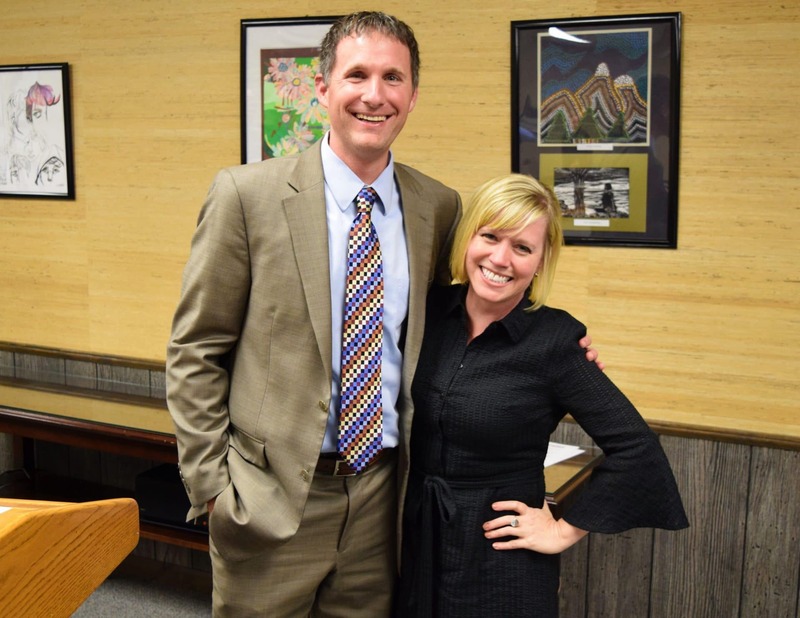 Pictured are Nystrom and Watauga County Schools director of middle grades education Meredith Jones. The board recognized Watauga High School spanish teacher Carmen Scoggins who was recently selected as Appalachian State University’s Outstanding Alumni of the Year. Scoggins was also honored with the Foreign Language Association of North Carolina Honorary Life Member Award. WHS GEAR UP coordinator Laura Turner and Student Services Director Paul Holden recognized a group of students who represented the district at the national GEAR UP conference. Pictured are Turner, Holden and Leslie DeCuesta, Ben Styles, Grace McClure , Emma Shew, Peyton Cline , Logan Sturgill , Abby Graham , Kyra Turner, Victoria Combs and Haleigh Lawson. 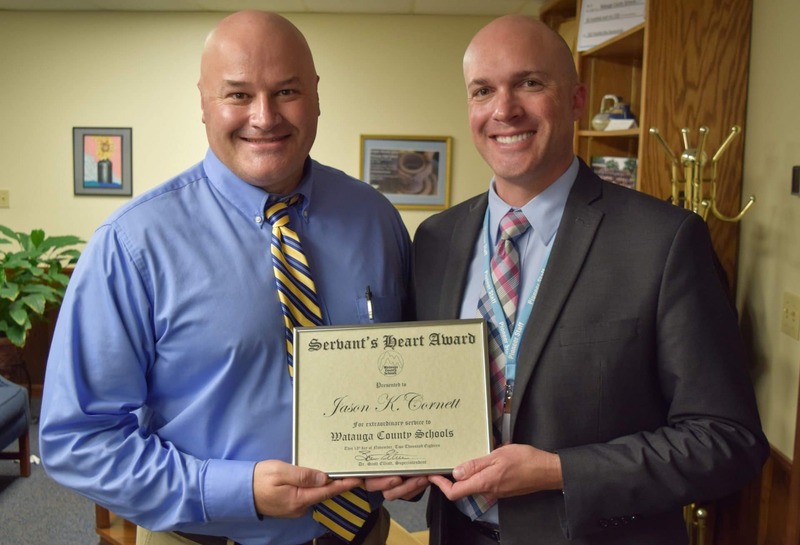 The Board of Education honored member Jason Cornett with the Servant’s Heart Award. Watauga County Schools Superintendent Dr. Scott Elliott said Cornett was a true professional board member with a listening ear who had worked hard during his tenure handling issues and concerns from his constituents with great personal commitment and positivity. Elliott said Cornett was among the most humble people he’d ever worked with, who came to the board with a desire to serve his community and be a reliable representative and a voice for parents and students.